An Egyptian journalist and political activist who was wanted by Interpol is due to appear in court in Edinburgh this week. Abdulrahman Ezz is alleged to have caused a breach of the peace at Edinburgh Airport on 13 December 2018. He denies the charge. Ezz is a journalist and political dissident who has opposed the Egyptian regime of President Abdel Fattah Al-Sisi. In 2011 he was sentenced in absentia to 20 years in prison after an Egyptian court found him guilty of charges that he strenuously denies. He is alleged to have incited violence and tortured detainees during riots following the 2013 military overthrow of Egypt’s former president, Mohamed Morsi. Ezz has worked for several opposition media outlets including Rassd News Network, which was banned in Egypt. He has also written for Al Jazeera and Arabic 21. 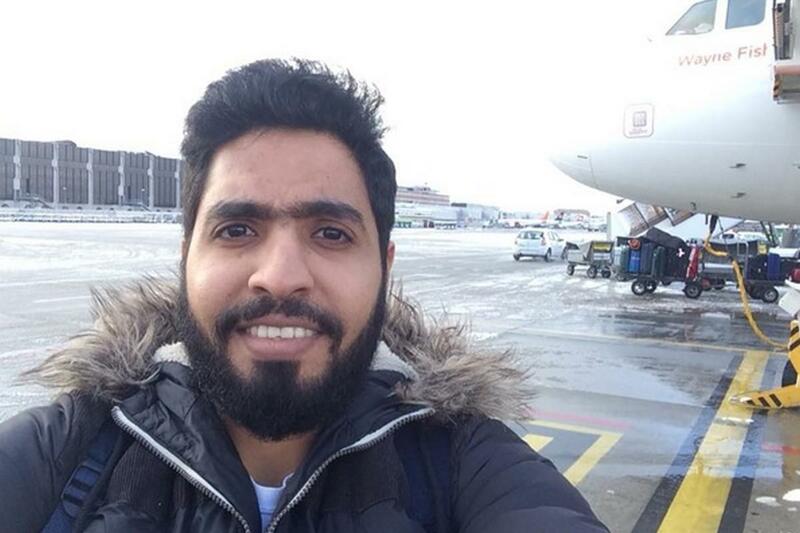 In 2017 Ezz was detained in Berlin’s Schoenefeld Airport as a result of the Interpol warrant but was released by the German authorities after being questioned for several hours. Hundreds of journalists have been imprisoned in Egypt following a military coup when President Abdel Fattah al-Sisi – then army chief – ousted Morsi and launched a deadly crackdown against the deposed leader’s Islamist supporters. In June 2017 Egyptian authorities renewed requests to Interpol to extradite 400 alleged “terrorists”. The list included several prominent reporters based in Qatar and Turkey. In 2015, Ahmed Mansour, a journalist for Al Jazeera, was stopped in Germany when officers acted on an Egyptian arrest warrant. After detaining him, German prosecutors decided to free him and not pursue his extradition to Egypt, where he was convicted in 2011 on torture charges he denies. The Scottish Palestine Solidarity Campaign (SPSC) plans to meet outside Edinburgh Sheriff Court on Thursday in a show of support for Ezz. According to SPSC, Ezz led his Cairo school out on strike in protest after the killing of 12-year old Mohammed Al Durrah on 30 September 2000 in Gaza. Ezz was aged 13 years old at the time. “AbdulRahaman Ezz epitomises mass popular support among the Arab peoples for Palestinian freedom. The junta in Cairo has sentenced him to 55 years in prison for his political activities,” said SPSC’s Mick Napier. He added: “He has learned that the Egyptian Ambassador in Germany pushed very hard for him to be arrested and returned to Egypt where, like many of his friends and thousands of others, he would face torture and probably death. I watch Aljazeera news daily and they report on Egypt’s incarceration of journalist Mahmoud Hussein, without charge, (currently 754 days) and wondered why this wasn’t mentioned in your article?